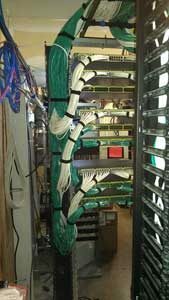 Salem Tech will quickly and efficiently install your network cabling regardless of the size of the area. 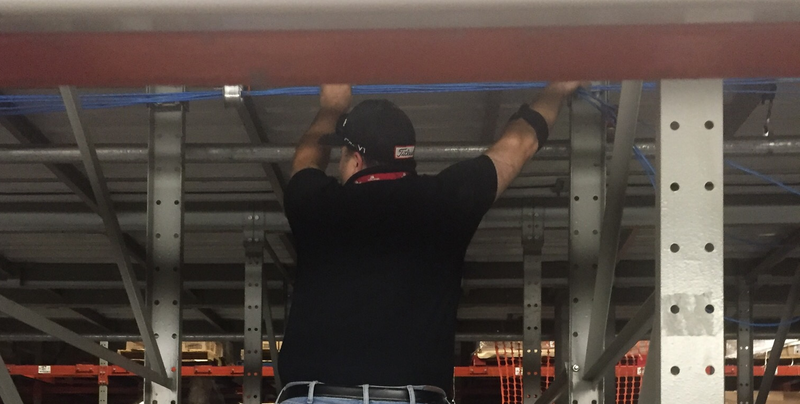 Running new cable for a 250,000 sq’ warehouse. From Wireless Access Point (AP) installation, to running new jacks in your office, no job is too big or too small for Salem Technologies. 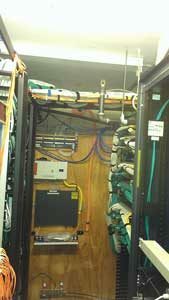 Our techs have over 30 years combined experience running and installing cable for your location. Are you worried about your ceilings being too high? We are certified to run a variety of lifts to allow us to complete your cabling task. We can help you arrange rental, or add it into our estimate. 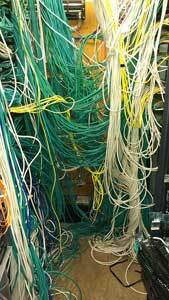 Messy network cables can cause many issues, from confusion when trouble shooting, to creating a fire hazard. Many businesses do not understand the importance of a professional, orderly network cabinet or room. 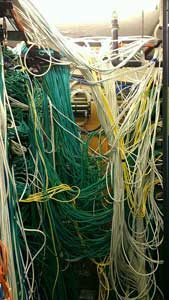 Loss of data, fire, and increased downtime can occur if your network area and cables are not kept tidy. The T1 was inaccessible for repairs, costing down time and money. After clean up, we were able to access the T1 line that had been acting up due to an improper ground. Another view of the same room. You can see the possibility for a fire hazard. A properly organized network rack. We have accomplished much for our customers, saving them downtime and money. Please allow us to do the same for your existing business, or new construction. Contact Us today for a free estimate.